"The never ending search for the next new thing should not get in the way of a story well told." OGGY'S background as a photo-journalist was early schooling in how to tell a story effectively. He built this experience with an English degree majoring in film history and theory. With 30 years in the industry, Ogden has been fortunate to develop his personal style based on elements from each genre. "Documentaries showed me how to work with available light and how to light naturalistically. It also taught me how real people behave in a variety of situations. Drama provided an opportunity on how to develop the story succinctly using lighting appropriate to the mood and camera moves to best reveal the emotions behind the story. " "MTV taught innovation, and along with commercials, showed the value of arresting and memorable imagery. Commercials also taught the most effective communication of a message in a short time, and an awareness for the creative opportunities offered in post-production." The 21st century audience has been completely swamped with imagery. A director or DOP can never become blase about technique and technical developments, however Oggy is correct in his belief that "the never ending search for the next new thing should not get in the way of a story well told." OGDEN was one of the early cinematographers to see the value of shooting with the RED camera. Although his first love remains film, he enjoys the similarities of shooting with the ever improving digital moving image and digital stills cameras. 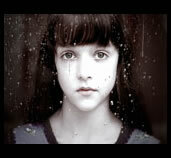 In 2008, Oggy was invited to shoot the short film CONSCIENCE by new director Camille Chen. It was a perfect project for the RED and Conscience screened at Cannes the following year. 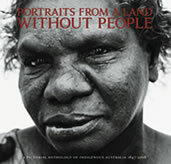 Since then the producer has received requests from filmmakers to use the film as a textbook for great digital images. In 2010-2011, Oggy produced his own short film, HOUSE OF STICKS, which premiered at Academy Accredited short film competition Flickerfest in January 2012. Since then it has appeared in several festivals and during August will screen at Grauman’s Chinese Theater for the 2012 Hollyshorts Film Festival. OGGY'S projects span Japan, Korea, China, India, Hong Kong, Thailand, Vietnam, Sri Lanka, The Phillipines, New Zealand, Singapore, Indonesia, Malaysia, Europe, South America and the USA. Experienced in comedy + action; both car and motorbike TVC’s; hair and make-up; food and beverage; animals + livestock; stop motion & motion control; underwater photography (including TVC’s for QLD Tourism and Coca Cola (Japan) with Ian Thorpe). Clients include Mercedes, Peugot, Citroen, Toyota, Mitsubishi, GMH, Daewoo, Hyundai, Ford, Coca Cola, McDonalds, KFC, EPA, Telstra, Optus, Korea Telecom, Hewlett Packard, Westpac, ANZ, Asahi, CUB, Lion Nathan and Unilever. As Time Goes By (1987) DOP Feature length science fiction comedy with Max Gillies, Bruno Lawrence and Ray Barrett. A wide variety of documentary experience in diverse locations including Burma, Thailand, The Himalayas, Greece, Turkey, London, New York, Indonesia, Hawaii and the Northern Territory. Most recent documentary Sea of Darkness (2009) directed by Michael Oblowitz, took out the New York Surf film Festival and was winner of best documentary at X-Dance, as part of the Sundance Film Festival. DOP on over 50 music videos including Prince, INXS, Tina Arena, The Church, John Farnham, Kate Ceberano, Jenny Morris, Jimmy Barnes and Split Enz. Certified Open Water Diver (PADI); NSW Boat Driver's Licence, Bronze Medallion (Swimming and Lifesaving); experience in underwater photography with documentaries, drama and commercials, surfing, sailing and windsurfing water camera experience in Australia, Hawaii and Indonesia. OGDEN’S visual skills are not limited to cinematography. He is a well known photographer and has dabbled in painting. Although his 2007 portrait of Madam Lash dipped out on the Archibalds it did win the Refusé exhibition that year. His stills work has been published and exhibited around the world and in 2008 he was honored with a major show at the Kluge-Ruhe gallery in Virginia, USA. 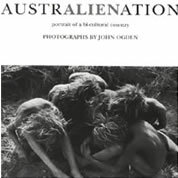 Through his publishing company CYCLOPS PRESS, John Ogden has published 3 art photography books: AUSTRALIENATION (2000) and PORTRAITS FROM A LAND WITHOUT PEOPLE (2009) and SALTWATER PEOPLE OF THE BROKEN BAYS (2011). 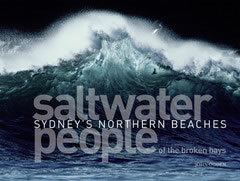 The companion book for Saltwater People is due for release in November 2012.